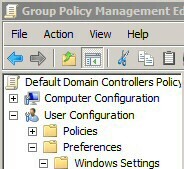 The best way to learn about the Win 8 Group Policy editor is through examples. Try changing settings and preferences using Gpedit.msc. If an edit does not seem to work, check your logic, because you don’t have to logoff / logon before they work. Here is how to edit the security options and disable the annoying User Account Control dialog box. See more on Disabling the UAC Windows 8 Group Policy. 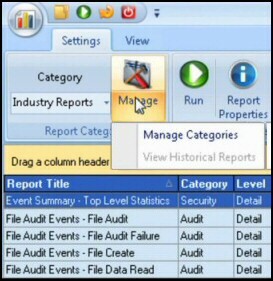 The concept is that administrators use group policy to map drives, rather than grappling with tricky VBScript methods to create logon scripts. Incidentally, they then have to ‘wire-up’ these scripts using group policy, so better to take a short cut and master Drive Maps. There are two main ways of editing Group Policy settings to prevent users from using USB drives. Firstly, stop them installing the drivers, or if you are too late for that, prevent them from reading or writing to the USB drive. See more on using Group Policy to Disable a USB drive. One way of creating workable group policies is to combine the thoughts of two experienced members of staff with different points of view. My suggestion would be to pair a techie, who knows the group policies, with a manager who has a vision of what the company’s Windows 8 computers interface should provide for the users. See more onWindows 8 Group Policy settings. Please note, you won’t see the ‘Preferences’ folder in Gpedit, they only appear in the GPMC (Group Policy Management Console). 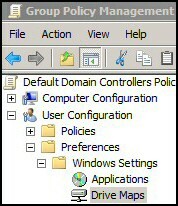 The difference between traditional Group Policies, and editing the new flexible Preferences is that Group Policies Settings force the configuration on users, whereas Preferences merely advice people of the administrator’s best choice for their computer environment. To restrict users, for example, ‘Prevent users from adding or removing toolbars’. To pamper users, for example to adjust settings that confuse users, such as ‘AutoPlay’ where without a policy their machine would play the wrong media by default. To configure the machine with old settings that were found in previous versions of Windows, but have been replaced, phased out, or deprecated in Windows 8. See more about finding and launching Windows 8 Gpedit.msc. 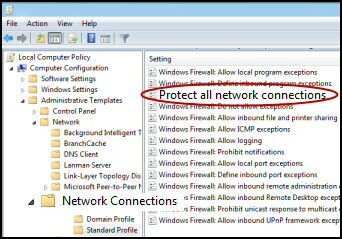 In this example ‘Protect all network connections’ policy can prevent even administrators from changing the Firewall settings in the Control Panel. Note : As with many Windows 8 Group Policies, check the logic, for instance, Protect — > Disable. This means you have no firewall protection. See more on disabling Windows 8 Firewalls. Failed experiments on a domain controller will alienate users, therefore it’s better to practice with Gpedit on a Windows 8 laptop, than jump in the deep end with GPMC on a Windows Server 2008 domain controller. My advice is to build on success. Get a simple, easy setting to work before stepping into the unknown. Incidentally, it always amazes how once I get one policy working it seems easier to get other more tricky settings to do what I ask of them. Be careful with double negatives in group policies, for instance, ‘Turn off xyz…’ Disabled, would mean a user gets xyz. Check your logic with a quick look at the description of a policy you are about to apply. See more on Microsoft’s Group Policies. Here are illustrations of the Win 8 Group Policy editor in action. I have chosen examples from the traditional settings, and also from the ‘Prefences’ section. If you try my changes, then you don’t have to logoff / logon before they take effect.